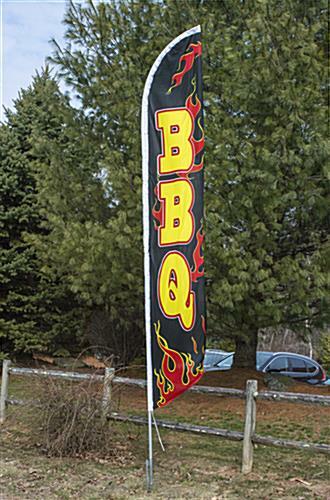 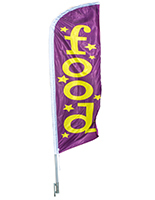 These BBQ feather banners include a ground spike that makes thme great as outdoor signage. 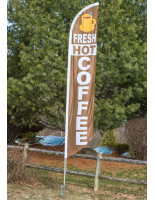 This allows the advertisements to be planted in grass or dirt. 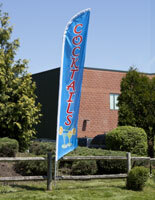 Each of the feather banners is made of durable aluminum and polyester that will withstand inclement weather. 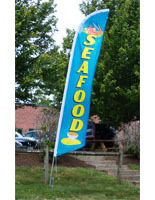 The outdoor signage features bright yellow text on a black surface with red flames. 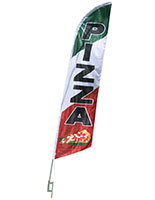 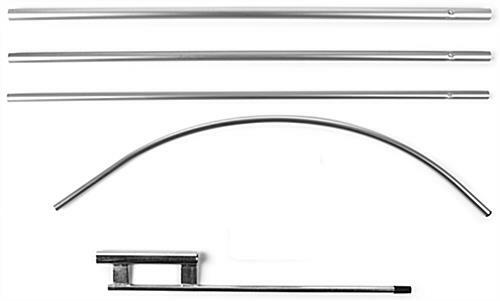 The advertisment banners with an aluminum pole measure 14' high for grabbing the attention of passersby. 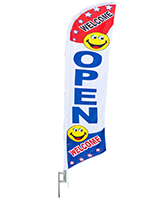 The flags with yellow text are also available with a variety of other messages.